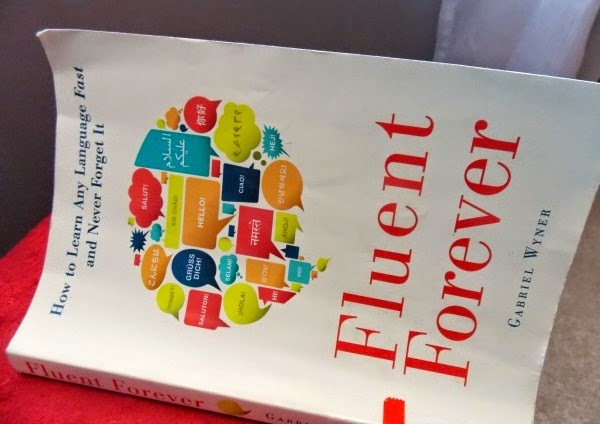 I've been wanting to learn other languages for awhile and honestly when I read the fluent in Fluent Forever, I felt giddy with hope. I've struggled with feeling I just didn't have what it takes to learn languages because I took Spanish earlier in life and it didn't come easily nor did I retain much of it. So, reading this book has been super exciting, to say the least. He has a grasp of how to learn languages to permeate your mind so that by the end, it's second nature. It's sort of simple in concept, but more habitual when it plays out. He uses a system of cards (physical or electronic) and he suggest learning sounds first so that the words come easier later. That's summing it up too simply...there is SO much in this book. I'm only beginning to learn Spanish in the way he suggests (and it probably helps we're kindred spirits in the way we learn) but I can already see huge progress in how I'm remembering things. If you have a desire to learn another language, I highly recommend this book! Have you wanted to learn more languages? Or have you had success in learning other languages? If so, any tips? Nicole, you'll have to let me know what you think when you read it! It's been just what I needed. Oh that's a cool idea! I will have to check it out! Yes do, Esther! It's inspiring.